Meet the Wall Control Brand Ambassadors. 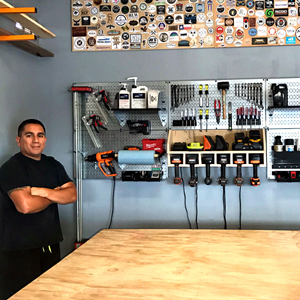 This growing community of shakers, movers and influencers across various trades all use Wall Control pegboard products day in and day out in their own shops and workspaces. 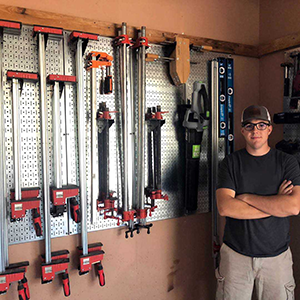 From woodworkers to crafters to DIY home fix-it personalities, these individuals know how to get things done and trust Wall Control peg boards with their own tools. Wall Control's Brand Ambassadors produce some fantastic content and are always up to something awesome so be sure to check them out, give them a follow, and feel free to interact with them on social media. 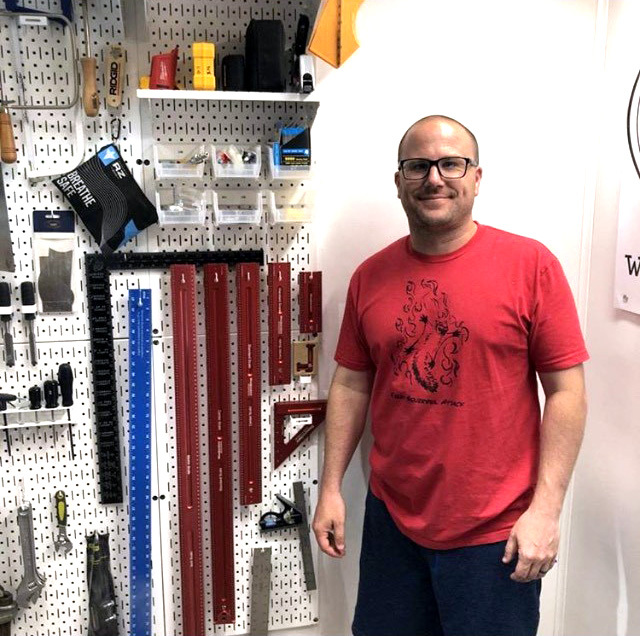 Think custom woodworker and tool reviewer with a healthy serving of sarcasm, Adam brings a laid back approach to all things DIY that's a fun journey no matter what your skill level. Adam heads up our ambassador team and leads the charge on our Instagram Channel. 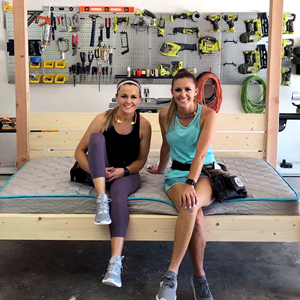 Meet sisters Ashley & Whitney from Shanty2Chic and hosts of HGTV’s Open Concept, two self-taught power tool wielding DIY queens, on a mission to create beautiful and affordable furniture, turning houses into homes and sharing their journey online to inspire others. 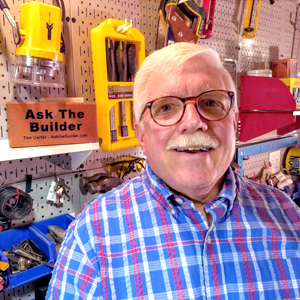 Tim Carter is the founder of AsktheBuilder.com and a longtime friend of Wall Control. He was a hands-on builder/remodeler for 20+ years before he started to build online using electrons. Tim gave Wall Control a boost years ago after meeting us at the National Hardware Show. On a quiet Kansas morning you can often hear the sounds of woodworking even before the birds start chirping thanks to our resident "earliest bird" Matt, who is often in his workshop by 3am. Matt is a woodworking family man who eats his lunch while you're having breakfast. Tamar is a mother of 3 with a passion for woodworking. She is self-taught and continues to learn through building whatever she needs. 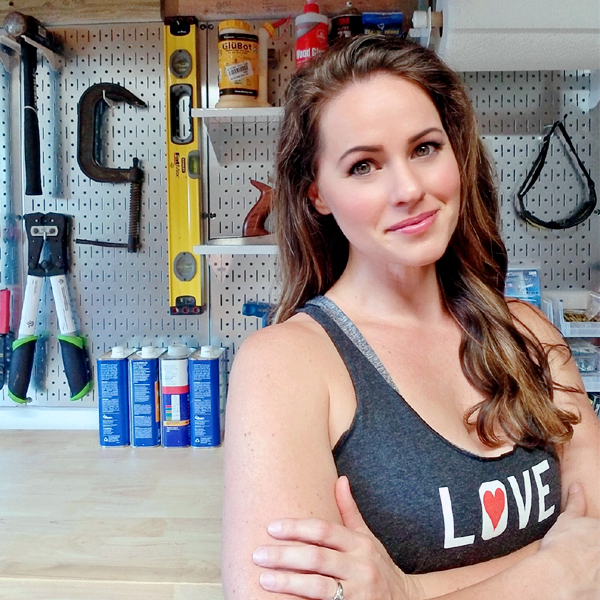 Whether it’s a small cutting board or a large bed build, she shares what she learned along the way on Instagram and YouTube. Our Ginger to the North, Rob is a Social Worker by day and superhero influencer by night. 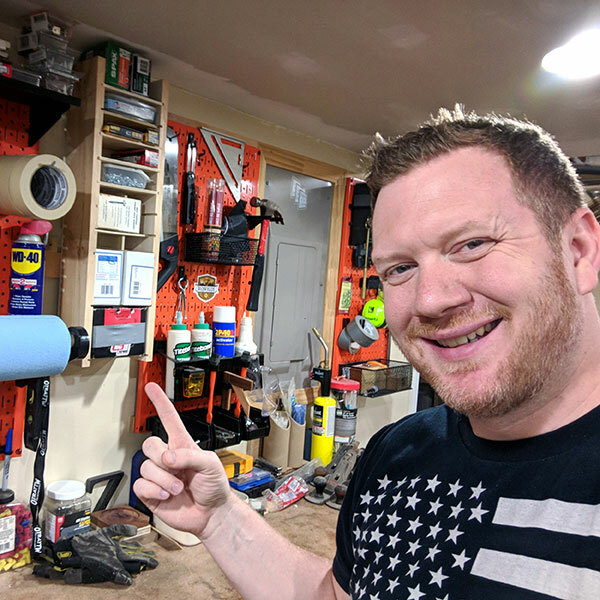 Always looking out for the little guy, Rob has a passion for woodworking projects and making content available for all skill levels. 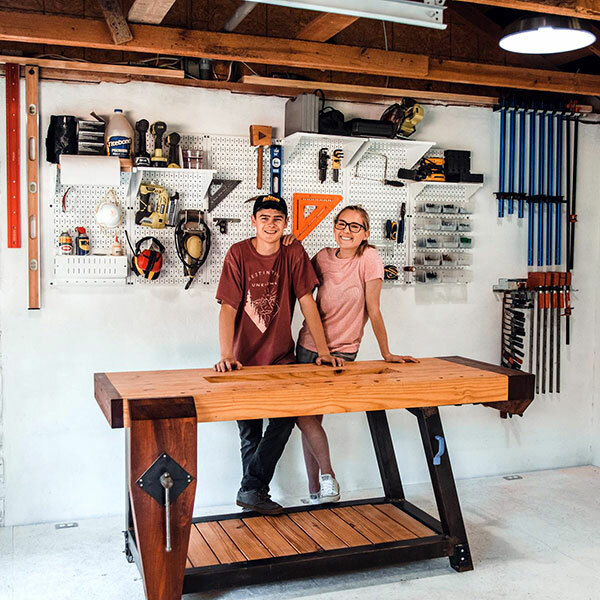 Dylan & Molly are a woodworking power couple taking the maker industry by storm. With innovative furniture builds, modern retail space designs and a customized "Wood Brew" conversion van under their belts this couple is just getting started on their climb to the top. Jonny is our resident "rock star" on the Wall Control Brand Ambassador team. Part artist and part carpenter, Jonny's best known for his custom-made Hellsing Furniture line that has an awesome modern take on Gothic design. Meet Lizzy from The House of Timber. Lizzy spends her days passionately handcrafting specialty logo signs and squeezing in a few furniture builds when she can. Lizzy is living and loving that Maker life she's built and rocking it on Instagram so check her out. 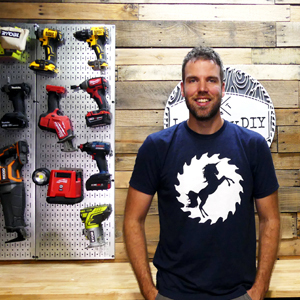 From marketer to maker and everything in between Mikey the Maker does it all. Mikey picked up a cordless saw for Christmas not too long ago and a skilled maker was born. Follow what Mikey is making on YouTube and Instagram. Fabricator, furniture designer and tool aficionado, Alex is a dad and family man that does it all. There is not a design project that he won't tackle to perfection. Alex is constantly expanding his repertoire of skills and sharing his experiences along the way. 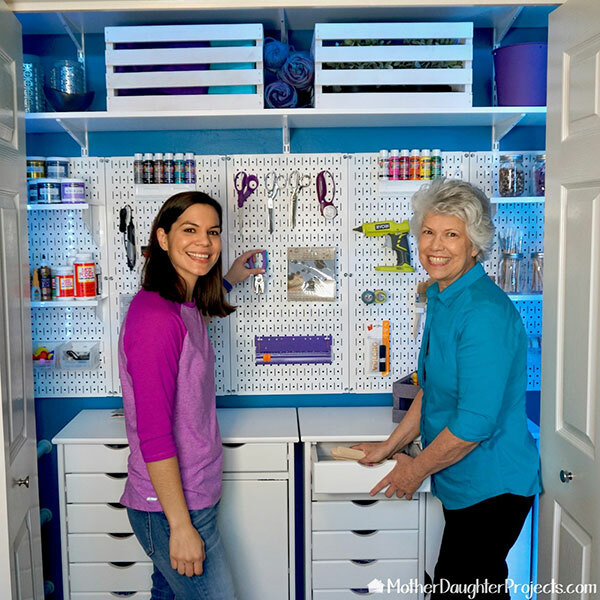 The dynamic duo of Vicki (Mother) and Steph (Daughter) are a pair of fearless DIY'ers that tackle anything from crafting, to at home tech to woodworking projects. The fun never stops with these two who are always moving on to the next big project. Captains of zest on the Wall Control Brand Ambassador Team are the husband and wife duo of Evan & Katelyn. These two are as fun of a follow as you'll find and they tackle it all from woodworking to home décor and everything in between. What do you get when fusing family, off-roading, overlanding, firearms, camping, outdoors and adventure rig travel into a content cornucopia of vehicle accessed recreation? You get Tony and Troy's very cool creation that is RoamR. Surrounded by the beautiful landscapes of northern Utah, Jesse is a craftsman that takes his inspiration from the area around him and brings out the beauty in the natural materials he works with in his workshop. You'll be out of luck if you try to describe Sadie Mae without bringing up the word "Awesome". With plenty of personality to spare, Sadie is a custom furniture builder with a great eye for flair, especially with a touch of Orange. 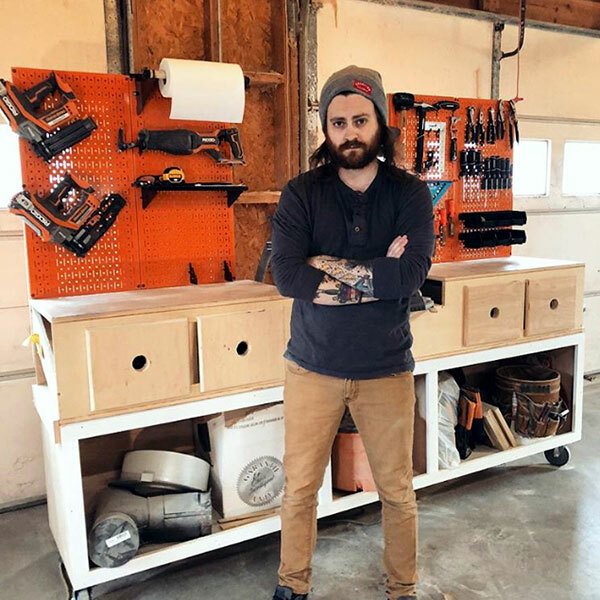 Ben is a husband, father, and woodworker originally from Pennsylvania but now resides in Arkansas and has a passion for woodworking, specializing in custom wood décor, furniture, colored pencil bowls and is a rising influencer on the custom woodworking scene. Meghan from Sweet Aloha Designs is a self-taught maker who designs and builds custom furniture and décor for her clients. 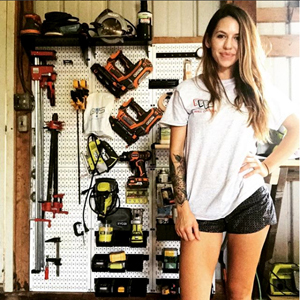 Meghan left a career in nursing to pursue her woodworking dreams and we're glad to have her as a Wall Control Brand Ambassador. 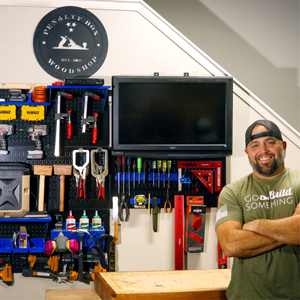 One day, Jesse turned his garage into a woodshop and Penalty Box Woodshop was born. 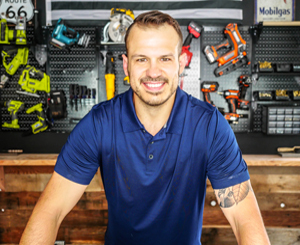 Jesse's motto is "learn to build it, build it, teach someone to build it" which he does on Instagram and YouTube for a wide range of Woodworking and DIY projects. Our Ginger in the South, Zach is guy that knows his tech and is staple part of the Southern Woodworking Community. Whether he's firing up his CNC for a project or working on his custom tear drop trailer, Zach is a content creator that can do it all! Danny is the co-owner of Charlie & Crew with his wife Samantha and is dad to two kiddos, Charlie (recognize the name?) and Meredith. 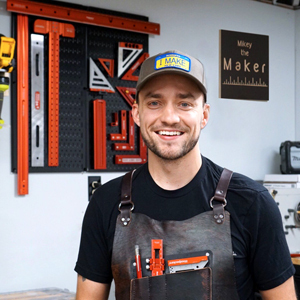 Danny is a skilled woodworker and a rising influencer on the maker scene. Having only ever held a hammer and screw driver at the start, Anika discovered woodworking and hasn’t looked back. 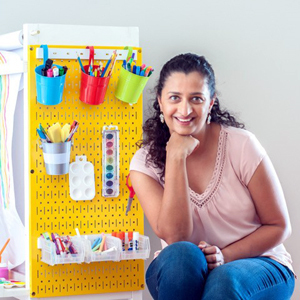 When she is not out on adventures with her 2 kids, she loves building furniture and adding her own colorful twists to them. 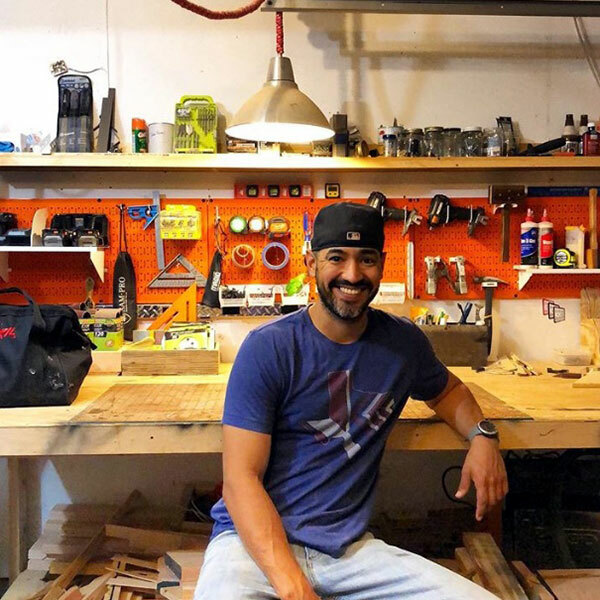 Gabriel with GR Woodwork is a West Coast woodworker from California who can tackle any build from large farmhouse tables down to small hardwood bottle openers. 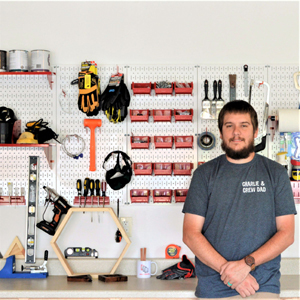 Gabriel is a husband and father of two who loves helping out other makers. 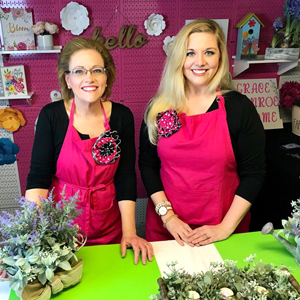 Meet Sherry Buckner and Amanda Cleckler, owners, and mother-daughter design team, at Grace Monroe Home and Design With The Pros Club. They have a passion for “making the ordinary front door, EXTRAordinary!” Check them out! Corey & Amanda Hendrix are the bloggers behind Love & Renovations - serving up DIY, home decor ideas, and a fair amount of rambling. Their mission is to teach folks that you don't have to be a pro to tackle DIY projects and make your home beautiful. Raechal from Desert Woodworks is not only an avid DIYer, Woodworker, and Maker but she is also the creator of the IG Builders Challenge. 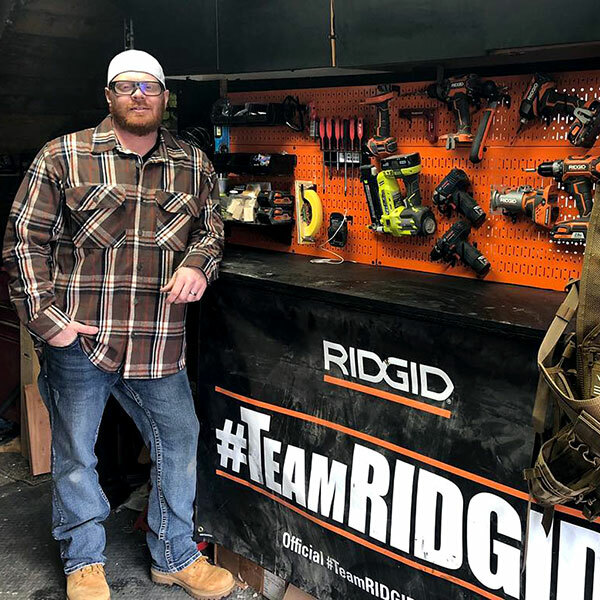 We're proud to have Raechal and that sweet Texas flag themed Wall Control pegboard setup on the team. 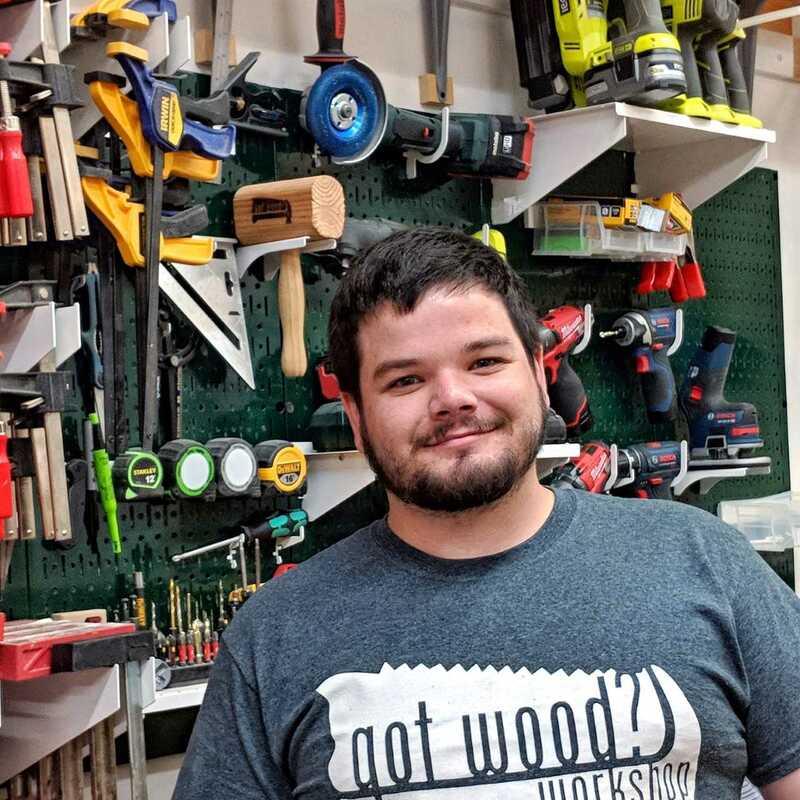 Kyle at WorleyFab is a 3rd generation woodworker and was first inspired to try his hand at woodworking after visiting his grandfather’s shop as a child. Get to know Kyle during his Saturday morning "Coffee with Kyle" segments on Instagram. Amy from Hertoolbelt is a Mom of 3, Engineer and a Woodworker when she can sneak away. 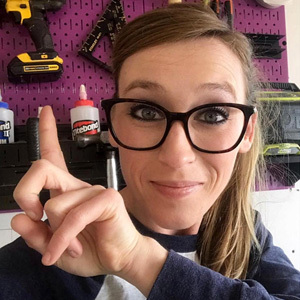 Amy loves creating build plans for woodworking projects and tinkering around on home improvement projects. She shares the free build plans on her site. Tom from Lumberjack'D Wood Design is from Buffalo, NY. Physical Education Teacher by day… husband, daddy and woodworker by night. From home remodel projects to farmhouse furniture and scroll saw hand-cut signs, Tom does it all. Alma from Pink Soul Studios in Chicagoland is about as fun as they come, and she knows how to build! 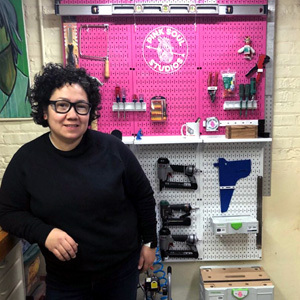 Alma is a custom woodworker and skilled 'maker of things' who fittingly uses Pink Wall Control Pegboards to hold her tools. 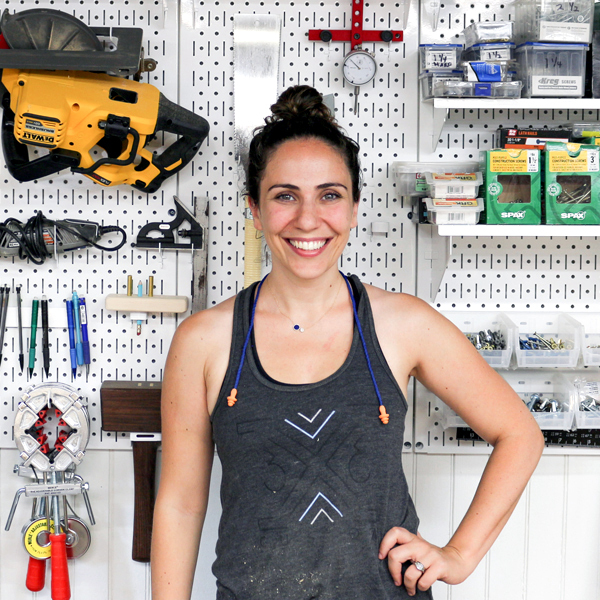 Shara from Woodshop Diaries works in a manufacturing facility by day and the woodshop by night. She loves to build furniture but can do it all from small builds to complete home renovations. Follow along with her DIY journey on Instagram.